I found a website, TheArtProjectOnline that lets you buy and sell art online. The Art Project is an online-based Art Gallery where students and emerging artists can sell their art and have control over the pricing at the same time as having the site do much of the promotion work. For selling art, the fees are low and artists are promoted in the major search engines (if the guys at the site choose to sell the artwork through them). There's an online form that you can fill out and let's you upload your images for review. Nice thing about it is that the artists get to set their own price (check out the site and see some of the asking prices, they're pretty impressive). Another great thing is that the artist gets to keep 100 percent of the profit of every art piece sold (for the monthly payment plan). Artists have options to pay a modest monthly rates or 20% commission* on sold art. There are nominal set-up fees to get your art up on the web. You can sell your art as framed photos and for gallery prices if you want. Not a bad deal if you don't want to go through the hassle of pitching your art to an on-the-ground gallery, and watch them take 50 percent of the price of your work for their commission. 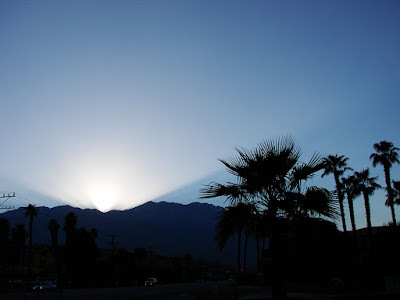 Palm Springs writer and photographer Matthew Bamberg has yet a new book out and the cover is one of the best on a photography book today. 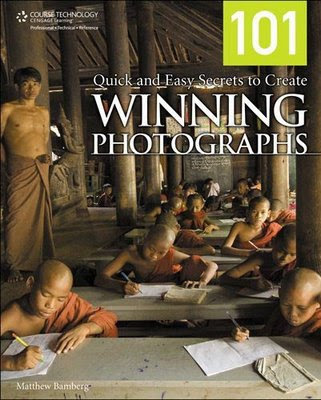 The book, 101 Quick and Easy Secrets to Create Winning Photographs is available now. It's been out for a month and is a hit! If you're just getting into photography and need great ideas to improve your photographs, then this is the book for you. If you just bought a dSLR camera or are considering getting one, than this book is a must-buy! Caught these guys while riding my bike home the other day. They have have a big job! 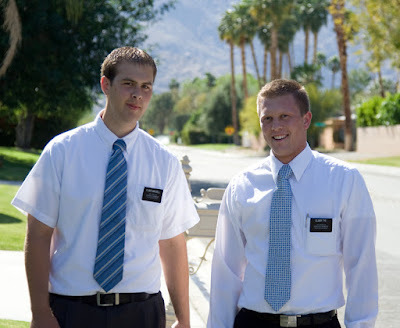 They're Mormon Missionaries . Can you visualize Mitt Romney doing this when he was young?